Thank you Henry community for making our book fair a huge success! A great selection of books for our kids and class libraries plus a good profit to help fund projects at our school. And thank you to everyone who participated in or volunteered with the Cherrydale fundraiser this year. 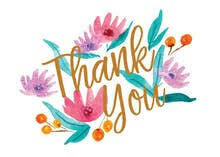 Also, an extra big thanks to our fundraising project leads, Kasey Coleman (Boxtops and Book Fair) and Natasha Broadwater (Cherrydale), for your hard work in making these fundraisers such huge successes.